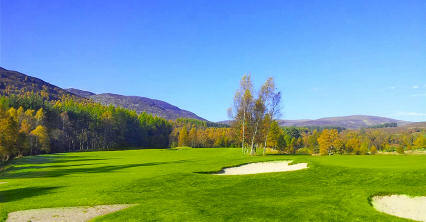 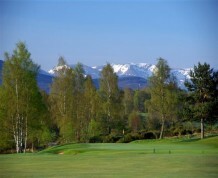 With the River Gynack coming into play on select holes and the course rising to approximately 1,000 feet above sea level at its highest point, Kingussie is a wonderful setting to enjoy the royal and ancient game. 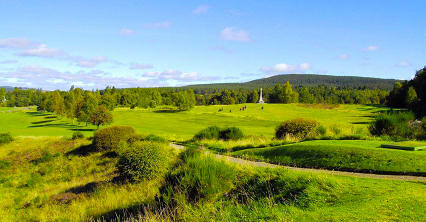 The legendary Harry Vardon was commissioned to design the course and the result of his labour is still enjoyed today by thousands who pay tribute every year. 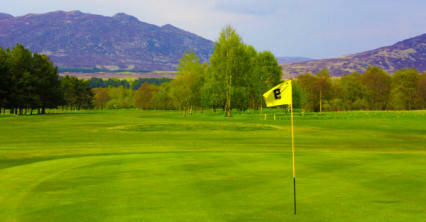 It opens unusually with a par three before moving onto some steady yet challenging par fours and demanding par fives. 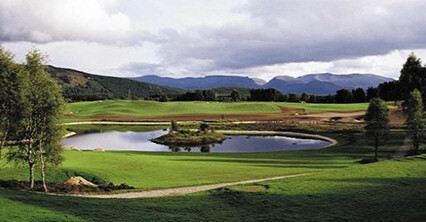 The closing hole runs beside the River Gynack and is the perfect finish to a great round. 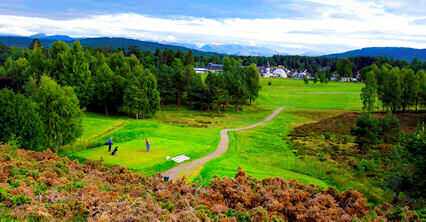 Turn at Duke of Gordon Hotel in Kingussie, continue to end of the road (signposted).